The word 'identity' defines at the same time a distinct specificity, a recognised individual uniqueness and in opposition, an exact sameness and uniformity. Absolute singularity on one hand and indistinct plurality on the other. 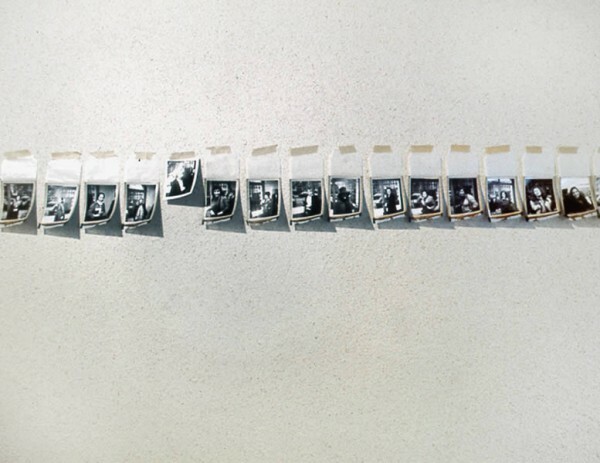 This work is an observation of people attending an opening in a photographic gallery and who, instead of having an exhibition to look at, find themselves confronted with their own image, as individuals but also as a group. 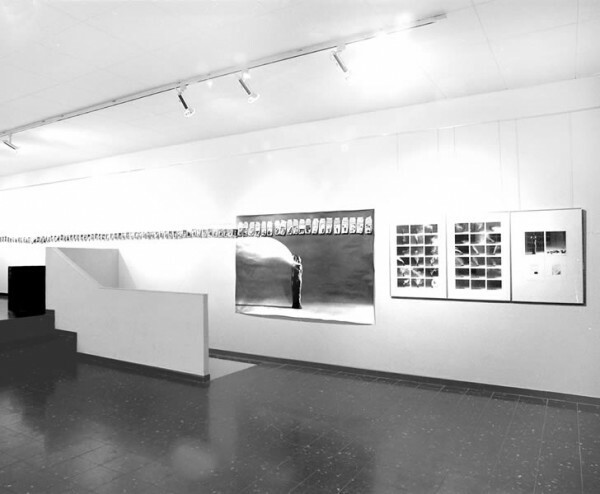 On the walls, two large photographs of burning statues, one of a man, one side of the gallery and the other of a woman, each of them accompanied by 36 smaller images of their progressive destruction. 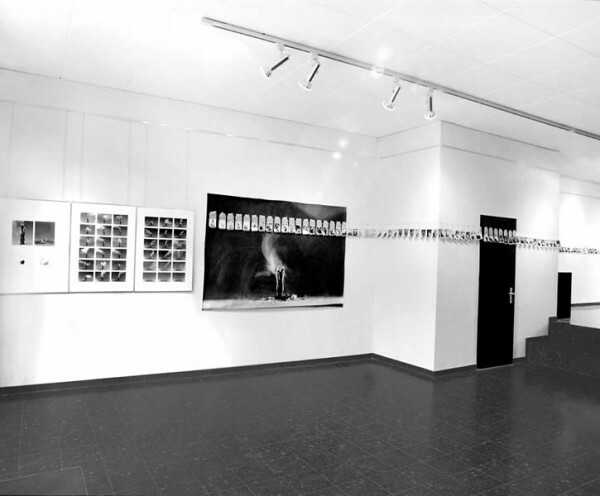 Facing the entrance of the gallery, Aldus took a Polaroid photograph of every visitor and assistants aligned them on the walls, women on one side and men on the other. The part of their lives spent by the visitors in the gallery was represented by a fraction of the burning process of the sculptures (being the exhibition themselves, people were not in such a hurry to leave...).